Do People Really Live Forever In An Eternal Flame or Lake of Fire? 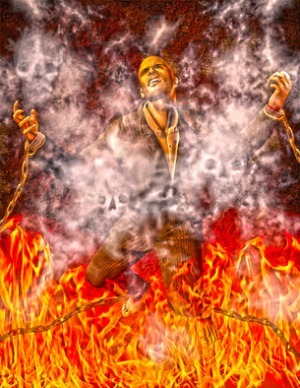 Is eternal hellfire and damnation promised to the unrighteous sinner? What does the Bible really say is promised to the wicked? Let's explore the Bible and see. 20. The soul that sinneth, it shall die. Eternal life is only for those who accept Christ as their Saviour. Death is promised to the wicked unrighteous sinner. Where does the Bible say the wicked who have died are now? The wicked dead are reserved or set aside in their grave or tomb. The dead are in the graves waiting for either the gift of eternal life, or the punishment of eternal death. The wicked dead are in the grave or tomb awaiting judgment day. Just like convicted criminals are put in jail to await their sentencing by the judge. Will the wicked suffer eternal hellfire and damnation? What does the Bible say about their punishment? So in regards to hellfire and damnation, the Bible states the wicked shall be cut off, perish, be destroyed, consume away. It does not say the wicked will continue on living forever. As in the ‘parable of the tares’ the wicked are burned up in the fire, not continually burning. The punishment for the wicked is eternal death. 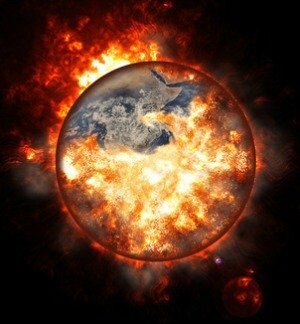 How long will hell fire last or how long will sinners burn? They will not burn forever, the fire will destroy them. The fire shall last until the wicked are stubble and turn to ashes, and the earth is burned up, because God is going to make a new earth. The Bible says there will be no more pain or crying, so there definetly cannot be people burning continually in hellfire, because they would be crying and in pain. What Does Everlasting fire or punishment mean? Verse 46 states everlasting punishment not punishing, which means the effects of the punishment is everlasting, i.e. they do not receive an eternal life of punishment. Everlasting / eternal life is only for the righteous. The devil wants to turn people away from God. What better way than to make people believe we serve an unjust God who would burn people with fire forever no matter what their sins are. Be not deceived by the father of lies, like he deceived Eve. God told Adam and Eve that if they ate of the tree in the midst of the garden they would die. Yet the devil told Eve she would not surely die. The devil is deceiving the whole world by telling them the wages of sin is not death but life eternal in a burning hell forever. Do not be deceived like Eve. Always remember that God Loves Us.